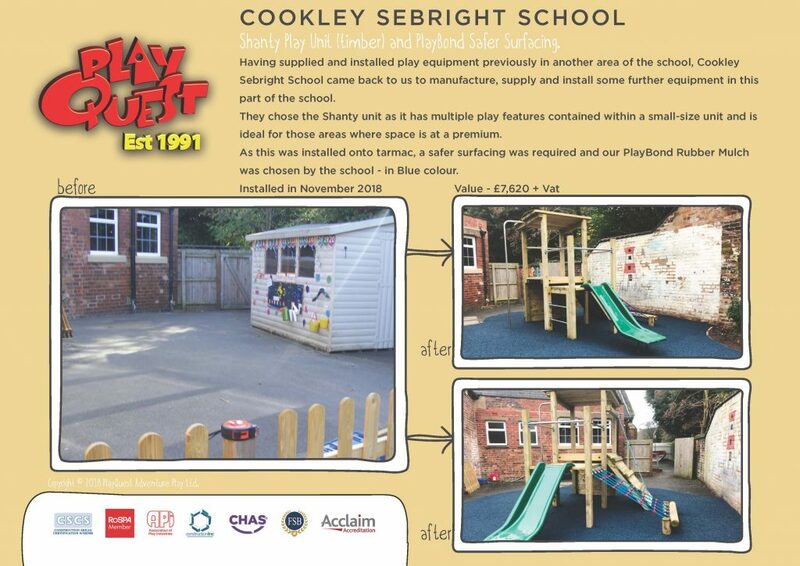 Having supplied and installed play equipment previously in another area of the school, Cookley Sebright School came back to us to manufacture, supply and install some further equipment in this part of the school. They chose the Shanty unit as it has multiple play features contained within a small-size unit and is ideal for those areas where space is at a premium. As this was installed onto tarmac, a safer surfacing was required and our PlayBond Rubber Mulch was chosen by the school – in Blue colour.